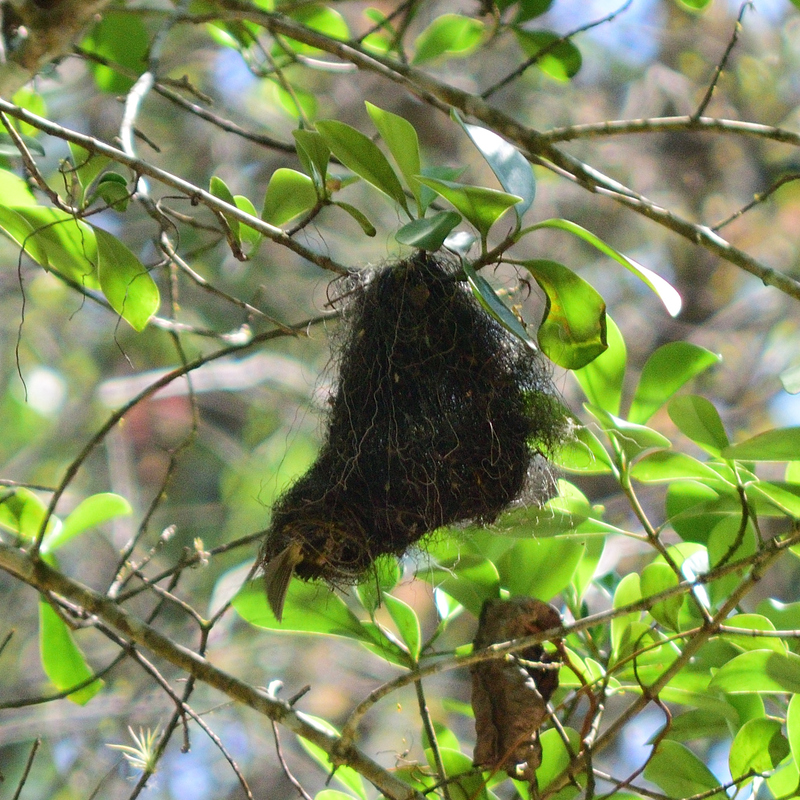 This bird nest, high up in a tree, caught my eye at the river. As I took pictures the bird entered the nest. I was only able to get this photo showing the bird's tail feathers. The most interesting part to me was the material used to create the nest. It looks like some type of aerial root, but I am not sure. 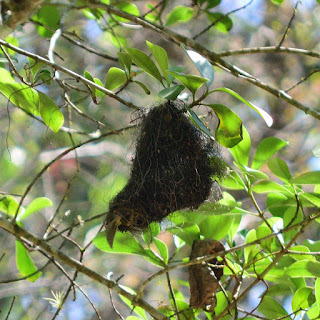 Birds and other creatures of nature make intricate housing. And quickly too. They find all sorts of materials even a strand of thread or yarn which lays randomly about. We had hanging baskets on the front porch, and when I went to water one, there was a next. I didn't recall purchasing it that way and removed the nest (oh foolish me). Within 24 hours a new nest was made in the same place. I had learned my lesson. For years, tiny birds nested in our hanging baskets. Now we have many bird houses for them to use. So interesting to watch their doings. I appreciate your admiration and love for the birds!